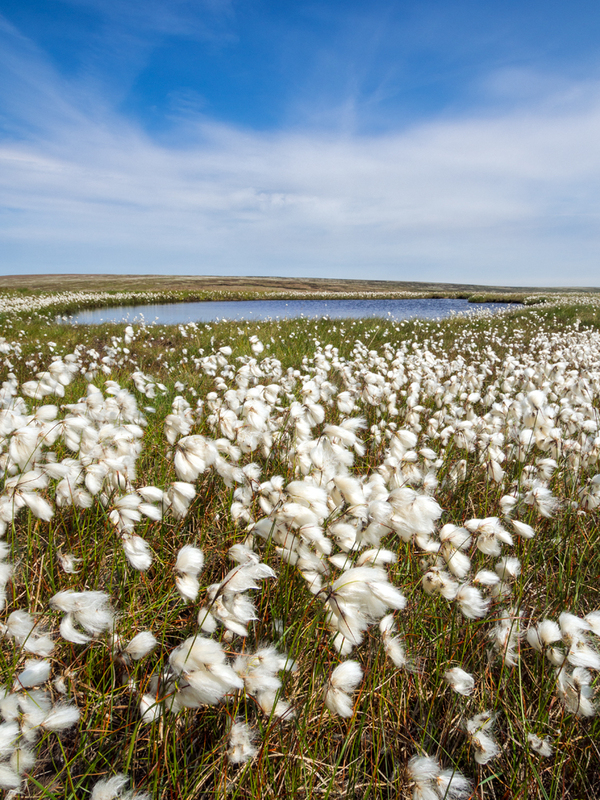 The cotton grass on the moors this year is amazing. I have never seen so much. From a distance it looks like patches of snow. The weather here in the UK is absolutely glorious at the moment. This is especially unusual in the area where I live (Saddleworth) which is well known for being wet (and unfortunately for the Moors Murders back in the 1960’s). Yesterday I took full advantage of the weather and went for a 12 mile walk over the moors. I did of course take my camera and used my belt pack discussed here recently to carry the equipment. The weather for photography was poor as it was simply too bright and the light too harsh even at 9:30 in the morning. The only camera that was likely to work reasonably well for me was my Infrared GX1 which loves these conditions. My decision was therefore to take the GX1 and Olympus OM-D E-M5 together with 3 lenses (Panasonic 14-45mm, Olympus 9-18mm and a 7.5mm Fisheye). As I wanted to do a few comparison shots for depth of field against the MD I also popped the Sony RX100 in there together with its leather carrying case. Finally a couple of spare batteries, a HiTech ND graduated filter, filter holder and lens adapter ring were added. Unfortunately not everything listed here fit into the belt pack. 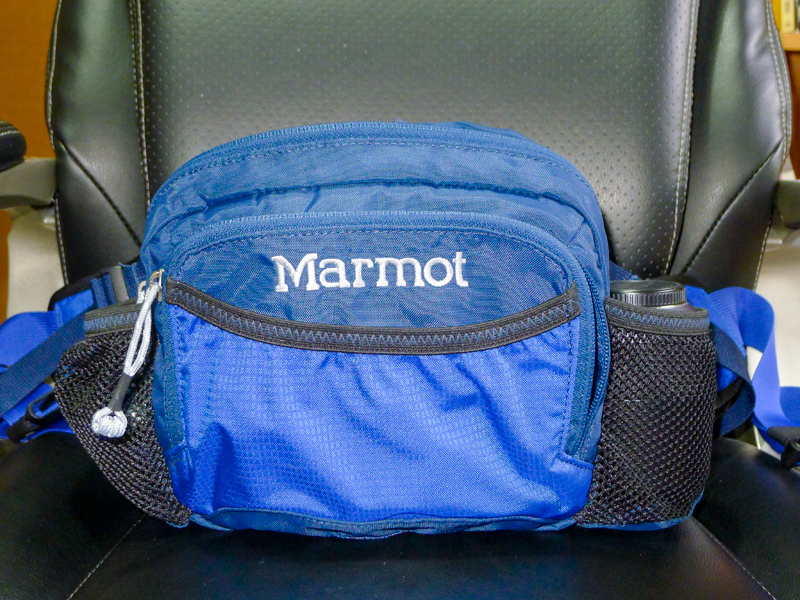 In the end I had the 14-45mm lens attached the OMD body in the main compartment of the bag. The 9-18mm lens and the Fisheye lens were both packed in Neoprene lens pouches and placed in the main compartment alongside the OMD. The GX1 body was placed in a front pocket where it fitted easily without a lens attached. The filters, accessories and batteries all went into two internal pockets. Only the RX100 had to be carried separately but that’s not a big issue. Overall the bag was perfect and far, far better than I had expected and seemed to carry a huge amount of equipment. The entire kit was very light and easy to carry. When walking any distance I had the belt pack behind me where I didn’t notice it. When I stopped to take some pictures I simply spun the belt pack around (without needing to remove it) and everything became easily accessible. Whilst I didn’t take a backpack on this occasion the bag when worn on the front was not uncomfortable and would still easily allow the use of a backpack. Was it perfect? Very nearly but I do reserve the right to change my mind after further use. My only minor problem was with the lens neoprene lens puches. I have a habit of carrying my lens hoods attached in a reverse position on the lens. When the 14-45 lens had the hood lens attached it wouldn’t fit properly into the lens pouch I had taken. This isn’t a huge problem as I do have larger pouches I could use but I wanted to avoid large pouches. I may therefore not take the lens hoods in the future. I think this is quite a good carrying solution for a small micro 43 kit and doesn’t look like a camera bag. Thanks. The moors here are covered with it this year – much more than I have seen before. I have kept noticing it when I have been driving home but never managed to stop. I think the weather must have been perfect.